When you’re running a company, managing a store, or monitoring a construction site, security is on your mind, but you don’t have the time to focus solely on safety and security. 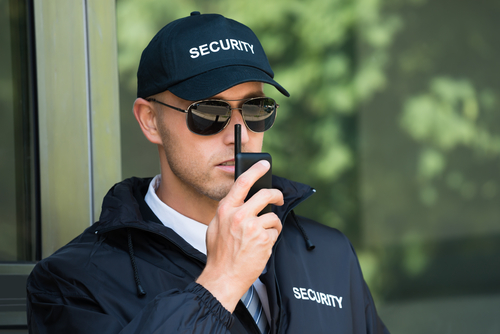 Hiring Korner Security guards means problem areas are always covered and specific priorities are entrusted to the skills of qualified and experienced guards. Plus, the plan you and your security team develop together will identify high-risk and liability areas you may have never considered for a solid list of security guard checkpoints. Depending on the nature of your business or security needs, there are a wide variety of interior security guard checkpoints that may be necessary to ensure complete defense of your property and operation. Many operations have blind spots that make it easy for threats to conceal themselves during business hours or as a place to hide to go unnoticed until after hours. Behind large furnishings or architectural details. Storage areas with dangerous supplies. Some places go unseen in a business if security guards do not check them regularly. The negligence is usually unintentional when you have so many other pressing concerns. Well-rounded security can be one of those elements a business owner is lax to fully consider alongside other matters. All buildings, including outbuildings of all sizes. Poorly lit or dark areas. Not all interior and exterior checkpoints are a necessity for every business. It is important, however, to be aware of what could happen in an emergency, and a trained security guard will heighten your awareness of your biggest threats. Armed guards should be considered, as well as unarmed guards. There are also benefits to having a mix of uniformed security and undercover agents stationed throughout your property, 24/7. Combining live security guard monitoring with sophisticated security camera surveillance allows for well-rounded safeguarding of your enterprise and its inhabitants and visitors. Outsource your security needs to Korner Security so you can concentrate on the bigger picture while ensuring that your customers, clients, property, and equipment remain safe. Contact an expert at Korner Security to review your security concerns and security needs. We will provide the best solutions for your needs.